This data not only helps manage the program, it also allows Human Resources leadership to hold all managers accountable for growing recognition activities within their teams. Leading recognition technologies also make the recognition process itself easy, facilitating all forms of employee, manager, customer and patient recognition. Peer-to-peer recognition that used to take days or weeks to process through manager approval steps now takes only seconds. Technology also can make nominating employees for recognition simple by streamlining the nomination process and forwarding electronic applications directly to the team members responsible for approving nominations. Because site contents are unique by participant group, employee data is managed in a way that allows members of every participant group to access reports that are relative to them. Participants can easily see the programs and administrative groups that are unique to their needs. These include standard but customizable modules to facilitate peer-to-peer recognition, spot recognition, manager recognition, nomination recognition, service awards, and performance incentives. Participation in a Workforce Recognition system can now be accessed through computers, smartphones, and tablets. Access is typically through a mobile responsive site or a native app. Each site can be customized with your company’s branding and includes areas for posting recognition awards and achievements. Typical functionality includes a communications suite that allows an organization to quickly blast messages to all or targeted program participants. Social Recognition and Gamification drive performance and appreciation in ways that align with today’s use of social media outside the workplace. Today’s sites can include educational components that range from simple PowerPoint presentations to true e-learning modules that include videos of an organization’s “recognition champions” sharing their passion and showing appreciation. Behavioral science shows that awards matter greatly because awards provide the excitement and emotional leverage needed to engage participants. Today’s most effective awards malls are Amazon-like destinations that offer vast arrays of merchandise and travel and experiential choices, as well as Universal Gift Certificates redeemable at hundreds of online or brick-and-mortar retailers. These back-end tools provide easy access to a wide variety of metrics, reports, and graphs that tell the story of how a program is progressing. Every recognition event is captured in a master database that program administrators can easily access via Excel or charts. In addition, each manager can access reports that include the recognition activities of everyone in his or her down channel. Also available are tools that allow program administrators to track and manage individual, department, and global recognition budgets down to the penny, regardless of how many tactical programs are on your platform. 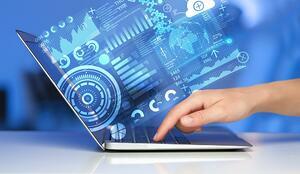 Platforms like WorkStride integrate with your HRIS or payroll software for easy data sharing. 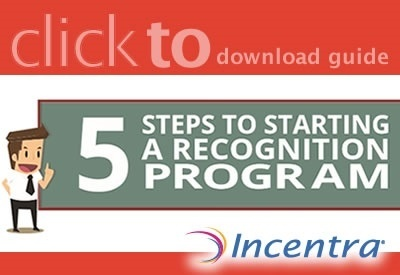 In conclusion, to institutionalize recognition and eliminate program administrative time, you’ll need an engagement platform that integrates all of your reward and recognition programs, communications, training, rewards and reporting into one easy-to-use package. The right technology gives equal access to all employees and can expand recognition by up to 10x in a year at a very reasonable cost. And here’s the nice surprise - you can have an effective, new engagement platform up and running in a mere eight weeks. Give Incentra a call today to get started.